Is it just possible that Dr. Robert C. Atkins was right? That his high-fat, low-carb plan, ridiculed for 30 years as dangerous nonsense, actually is a good, safe way to lose weight? During a few months on the Atkins diet, people lose about twice as much as on the standard low-fat, high-carbohydrate approach recommended by most health organizations. They do so without seeming to drive up their risk of heart disease. Rather than going kaflooey, their cholesterol, triglycerides, blood pressure and ominous bloodstream inflammation generally improve, perhaps even more than on the standard diet. They appear to lose more weight even while actually consuming more calories than people on a so-called healthy diet. All of the experiments were short and small. None by itself would make a big stir. But taken together, they undermine much of what mainstream medicine has long assumed about the Atkins diet. "Some scientists are dismayed by the data and a little incredulous about it," says Gary Foster, who runs the weight-loss program at the University of Pennsylvania. "But the consistency of the results across studies is compelling in a way that makes us think we should investigate this further." Until now, the opinion of the medical world on this subject has been essentially unanimous: Any diet that emphasizes meat, eggs and cheese and discourages bread, rice and fruit is nutritional folly. The American Medical Association set that tone a year after the book, "Dr. Atkins' Diet Revolution," came out in 1972. Its sarcastically worded critique dismissed the diet as "potentially dangerous." It called its scientific underpinning "naive" and "biochemically incorrect." And it scolded book publishers for promoting "bizarre concepts of nutrition and dieting." On the Atkins diet, up to two-thirds of calories may come from fat — more than double the usual recommendation — and that violates everything medical professionals believe about healthy eating. Carbohydrates are the foundation of a good diet, most say. Eating calorie-dense fat is what makes people fat, and eating saturated fat is what kills them. Despite this, Atkins' books have sold 15 million copies, uncounted millions have tried the diet, and practically everybody has heard of someone who dropped a ton of weight on the Atkins plan. Finally, several research teams around the country have put Atkins to the test, driven largely by weariness at having nothing solid to tell patients and, in some cases, a desire to prove Atkins wrong. One study was even sponsored by the American Heart Association, long an Atkins skeptic. None has been published yet, but summaries have been given at medical conferences. "They all show pretty convincingly that people will lose more weight on an Atkins diet, and their cardiovascular risk factors, if anything, get better," says Dr. Kevin O'Brien, a University of Washington cardiologist involved with one of the studies. This is not the end of the story. The studies say nothing about how much people lose when they stay on Atkins more than a few months, whether they keep the weight off for good and whether their cholesterol rebounds when they stop losing weight. Nevertheless, three decades of dietary gospel are in doubt, and those questioning it include some of the most prominent names in obesity research. For instance, one of the new studies was conducted by Foster with Drs. Samuel Klein and James Hill, the current and past presidents of the North American Association for the Study of Obesity, the premier professional group. 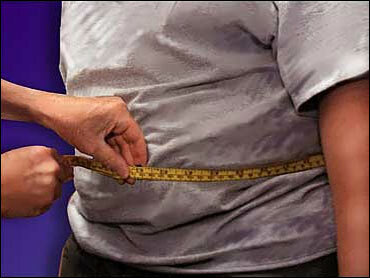 "I'm part of the obesity establishment," says Foster, who has published more than 50 scientific papers on the subject. "I've spent my life researching ways to treat obesity, and 100 percent of them have been low-fat and high-carb. Now I'm beginning to think, it isn't as it has appeared." His Atkins study was intended to "show it doesn't work," yet after three months, the overweight men and women had lost an average of 19 pounds, 10 more than people on the standard high-carb approach. The largest difference was in triglycerides. The Atkins dieters' dropped 22 points. The low-carb dieters' didn't budge. "It was unexpected, to put it mildly," Foster said. "It made us think maybe there is something to this." Despite these data, the Atkins diet still gives many health professionals the willies. It encourages people to eat bacon, butter, prime rib and lots of other things loaded with saturated fat. And it lectures against such mainstay carbohydrates as grains, pasta and starchy vegetables, especially in the diet's first cold-turkey stage; plenty of other healthy things, including many low-carb green vegetables and olive oil are allowed. "There are many principles in the Atkins diet that go against what we know," says Dr. Robert Eckel of the University of Colorado, senior author of the heart association's policy on high-protein diets. "It keeps people away from staples of the diet that we know are associated with less heart disease." Volumes of research suggest that people have the best chance of avoiding heart disease, high blood pressure and cancer if they eat a varied diet with plenty of fruits, vegetables and grains. "It's scary if people leave out these very important food groups and just depend on high-fat, high-protein foods," says Wahida Karmally, nutrition director at Columbia University's clinical research center. Furthermore, people on the Atkins plan may get a quarter of their daily calories from saturated fat, more than double the heart association's recommendation. Animal experiments and studies of large groups of people long ago convinced many experts that too much saturated fat clogs the arteries and leads to heart attacks. Mainstream scientists wave off the Atkins camp's answer to this that saturated fat is bad only if eaten with large amounts of carbohydrates. Otherwise, it's harmlessly burned off. "When carbs are the primary fuel source, there are certain risks in excessive fat consumption," says Colette Heimowitz, the Atkins organization's research director. "But in a controlled-carb setting, when fat is the primary fuel source, the rules change. Those risk factors do not show up." So how do the traditionalists explain the cholesterol improvement seen in the Atkins dieters? Weight loss. Slimming down reliably improves cholesterol levels, and they say its benefits probably overshadowed any damage done by all the unhealthy fat that people ate. Why people lose more weight on the diet is also not clear, although some researchers say they buy one of Atkins' arguments: People stick with it because they are not constantly hungry. Fat and protein satisfy the appetite, the theory goes. But eating lots of carbohydrates raises insulin levels, lowers blood sugar, and eventually makes people ravenous. But another of Atkins' ideas on the subject is far more contentious. He argues that people lose more weight on his plan even if they actually eat more calories. That's a violation of the laws of thermodynamics, skeptics say. "A calorie is a calorie as far as weight reduction is concerned," says Dr. Michael Davidson, director of preventive cardiology at the Rush Heart Institute in Chicago. Or is it? Some of the new studies suggest otherwise. Dr. Stephen Sondike of Mount Sinai Medical Center in New York City put overweight teenagers on comparison diets for two months. The ones on Atkins lost twice as much as those on the low-fat diet. Yet they appeared to eat about 700 more calories a day than the others. Less dramatic but still startling results came from another study at the University of Cincinnati. Women on Atkins lost twice as much while eating the same number of calories as the lowfat dieters. "Surprised? Definitely," says Bonnie Brehm, a registered dietitian. "We really don't know what the answer is." And the Atkins weight loss was not simply dehydration, as Atkins critics often contend, since the Cincinnati dieters also lost twice as much body fat. But even if the diet is reasonable for a few months of slimming down, what happens when people level off during the maintenance phase of the program? Does their cholesterol soar if they eat all that fat without losing weight? None of the research so far answers that. However, Atkins-sponsored studies by Jeff Volek, an exercise and nutrition specialist at the University of Connecticut, offers some hints. He put fit men on an Atkins regimen for six weeks with orders not to lose weight, and nothing bad seemed to happen. Their good and bad cholesterol went up proportionately, and their triglycerides fell. "I'd like to see more data," Volek said, "but ours provides evidence it doesn't have a negative effect on your heart." But for now, even many of the researchers who did these studies are reluctant to recommend the Atkins diet. They know too little about its long-term effects. A large new study just under way could settle these doubts. This federally sponsored project will randomly put 360 overweight men and women on the Atkins plan or the U.S. Department of Agriculture's standard high-carb, low-fat diet, then watch them in painstaking detail for at least two years. The study will try to answer three questions about Atkins, says Hill, who directs the University of Colorado's Center for Human Nutrition. "Does it produce weight loss? Is it a safe weight loss? And is it any better in the long run than anything else that has come along?" Scientists will analyze the volunteers' blood and cholesterol in every way they can think of, as well as check their bone density, kidney function, body composition, exercise tolerance and more. Despite the professions' unease at the findings so far, some of the researchers involved expect that if the Atkins approach proves safe and effective in larger, longer studies, those opinions will eventually change. "It's difficult to swallow," says O'Brien, "but the data are the data, even if they go against 30 years of dogma."